A Diesel Engine is widely used in automobiles as well as Portable Air Compressor also. So, all engineering and compressed air concerned must know how the diesel engines work? 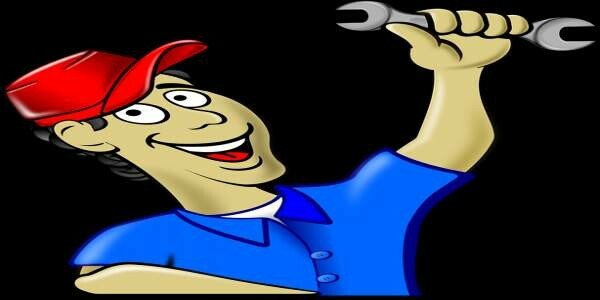 Diesel Mechanic can easily rectify many problems with the diesel engine but you can’t. Hence I would like to share information on troubleshooting and rectification of an engine with you. Generally, engines manufactured by Cummins or CAT Engines (caterpillar) are well known for their operational robustness. But it’s not 100% possible that your engine will run trouble-free. Many times Screw Air Compressor used in a very remote area, hence, air compressor maintenance due to engine fault is a headache for engineers. So, it is handy to know some common faults and the troubleshooting procedures. I tried to cover most of the engine faults, I faced, which will help you in diagnosis and rectification. A) Fuel- has at least six inches high in the tank and ensures that the air breather is open to avoid air-lock. B) Engine too cool. Try to warm the engine or wait for an improvement in weather conditions. C) Dirty fuel oil filters. Clean the fuel filter or replace it if necessary. D) Cranking is too slow, run down the battery. Re-charge the battery, tighten loose connections, check key switch and solenoid relay. E) Minimum speed adjusting screw on governor may be screwed out too far. Set it as per requirement. B) Throttle controller pipe leaking or clogged. Clean if clogged and replace/repair if leaking. A) Butterfly Valve Not Open. Take necessary action for free movement of the butterfly valve. B) Air cleaner elements are clogged or dirty. Clean thoroughly or replace. A) Battery improper. Check electrolyte level and specific gravity and recharge. B) Loose wiring connection. Inspect and tighten. A) The low water level in an indicator. Improve the water level by adding water. B) Radiator clogged. Clean it immediately. C) Dirt in fins. Blow out air in reverse direction to flow of air. D) Faulty thermostat. Remove the fault as per instructions of the manufacturer. E) Operating pressure is above maximum allowable. Discharge the pressure and keep it in the limit. F) Engine fan belt too loose. Adjust the tension of belts as per requirement. A) Oil level in the crankcase is low. Top up as required. B) Compressor level setting is wrong. Level the compressor. C) If engine running but no oil pressure is shown on a gauge, stop the engine and check oil pressure gauge on some known pressure. Check oil filter element for clogging. Replace if required. D) Check oil pump and screen. Take rectification action as per requirement. E) Incorrect engine oil, oil line or oil pump screen can clog if incorrect oil grade is used. Use proper lubrication oil as per instruction of the manufacturer. A) Oil line from the separator to air-end blocked. Clean choke in return line. B) If separated oil is returning to intake in the proper way, it is possible that oil separator fibreglass wool discs need replacement. Check separator shell for a leak and rectify, if required. C) Oil level in air/oil receiver is too high. Correct the oil level as required, up to the middle in a visual indicator. A) Discharge valve malfunctioning. Remove discharge valve. Inspect and rectify. B) Oil check valve malfunctioning. Dismantle the oil check valve and inspect and repair. A) Controller not functioning. Check control filter, strainer. Clean and adjust rotation per minute (RPM). B) Unloader transformer adjusted at higher pressure, adjust to proper pressure setting. C) Butterfly valve not closing properly. Inspect and take necessary action. D) Safety valve defective. Inspect and adjust, if necessary replace. The safety valve is to be set at 10% higher pressure than the maximum unloading pressure.